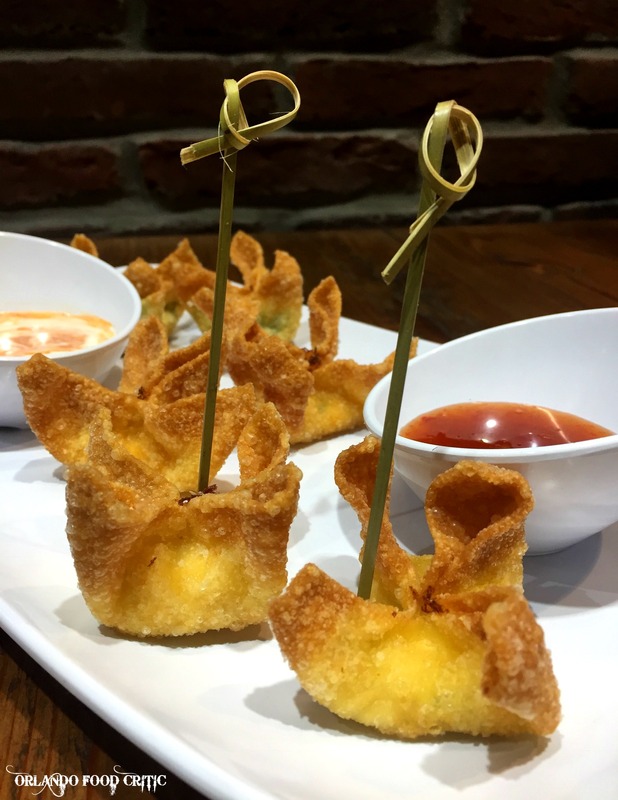 Following on from our visit last week, we felt we could not do justice to a restaurant called “Wonton” without commenting on their signature Wonton selections. We started with the savory Wontons and chose the “Wonton Flight” which included a selection of Firecracker – Seasoned chicken, cream cheese with spicy sriracha and green scallions – Spinach – Fresh baby Spinach, cream cheese and water chestnuts – Crab – Atlantic crab, cream cheese, red bell pepper and green scallions. Very much like a wine “Fight” this gives you an insight into which flavor could be your favorite. A difficult call, they’re all great, but ours turned out to be the crab. You get two delicate parcels of each flavor, just enough to snack on. For the dessert option happily, there was not a Lychee in sight! 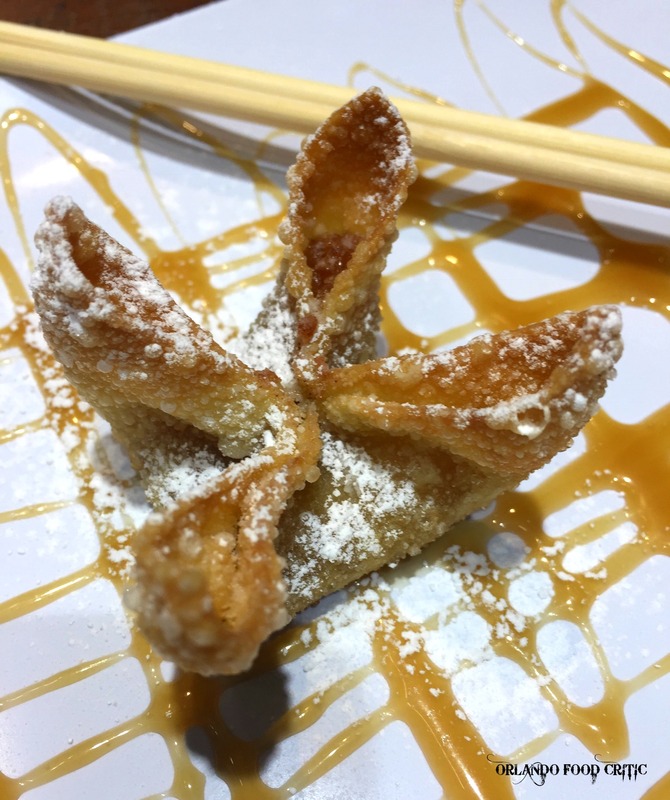 We chose the very innovative Bananas Foster Wonton and the Apple Pie Wonton. These bite sized sweets give you a terrific flavor burst and make a great finish to the meal. Cinnamon Sugar Wonton strips complete the sweets selection. Wonton are still in “Soft Opening” mode and will have their “Grand” opening soon but don’t’ delay, good food does not have to be expensive and Wonton seem to genuinely care about the product and their customer.